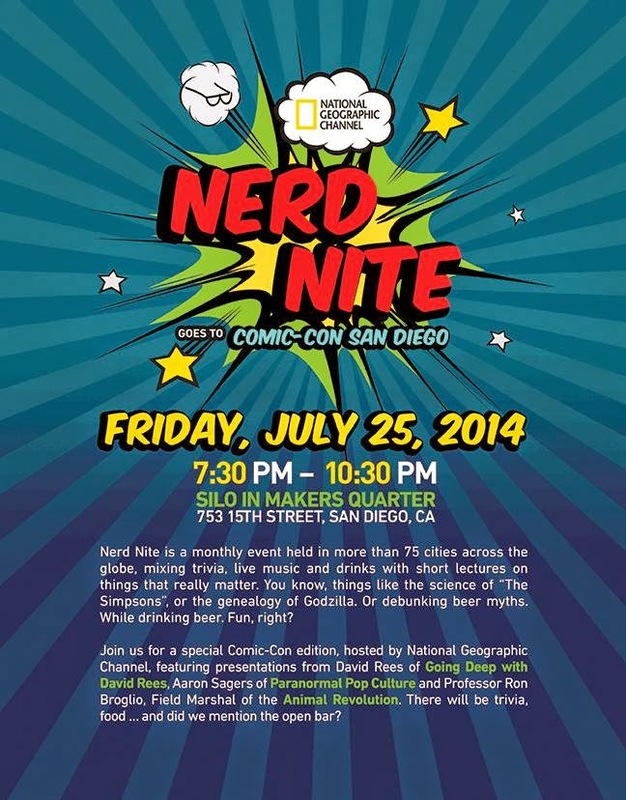 If you're lucky enough to be in San Diego for the nerdgasm that is Comic-Con, be sure to put the National Geographic Channel-sponsored "Nerd Nite" on your list of "Must Attend" events. 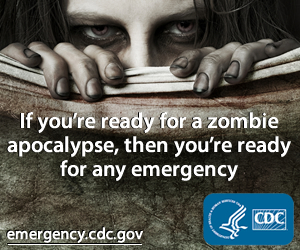 All of the details are on the poster on the right but to break this awesomeness down, the Nat Geo Channel will be hosting the special Comic-Con edition of this monthly event that's is "held in more than 75 cities across the globe." On July 25, from 7:30 p.m. to 10:30 p.m. at the SILO in Makers Quarters, all the cool kids will be joining our own Aaron Sagers along with David Rees ("Going Deep with David Rees") and Professor Ron Broglio, Field Marshal of the Animal Revolution. There will be trivia, food, music, the presentations, an open bar and conversations about geektastic things. Aaron promises lots of Batman talk... so be there!